This last weekend was a busy one for my husband and I. We spent all of it packing, unpacking, hauling, loading....yep we moved. We had only been in our rental house for 1.5 years, but wow, did we have a lot of stuff to pack! I couldn't help but laugh and sheepishly shrug my shoulders when my husband teased me about how much art stuff I had. I had paintings under the couch, behind the couch, supplies under the bed, on the shelves in the garage, basically every room had some space designated to "art related stuff." 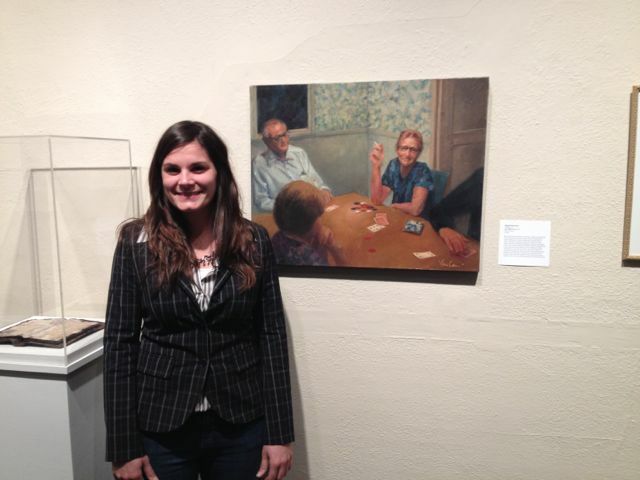 This last weekend I flew to Des Moines, IA to attend The Octagon's 45th Annual National Juried Exhibition in Ames. It was during this trip when I remembered why I had become a hoarder, of sorts. While waiting in the SF airport I saw the most lovely horse sculpture made out of drift wood. The piece captivated the space and demanded attention. I greatly appreciated Debbie Butterfield's sculpture for its presence and because it reminds me that the things I collect are not just junk, but junk on the verge of a beautiful creation. It is in the objects that are often overlooked that an artist imagines beauty and creates something from nothing.